Despite packing a big battery, this electric Jag doesn't offer ample electric range. ***UPDATE: It's not officially official. Just 234 miles of range for the I-Pace. 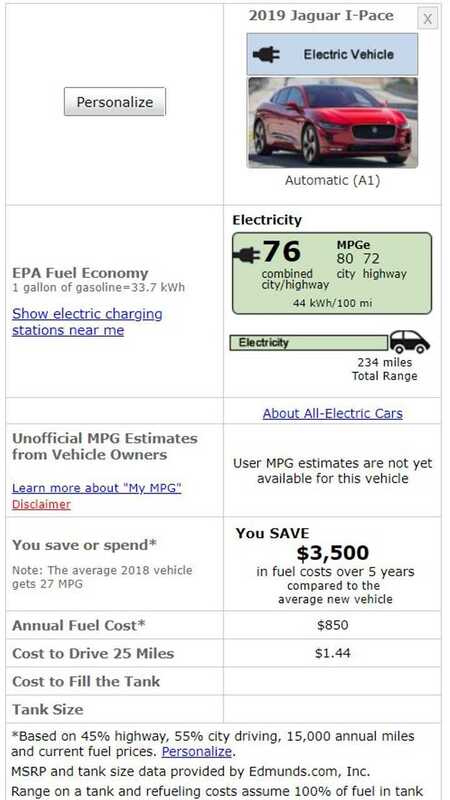 The numbers are not officially official just yet, but Jaguar has provided EPA-estimated figures now. 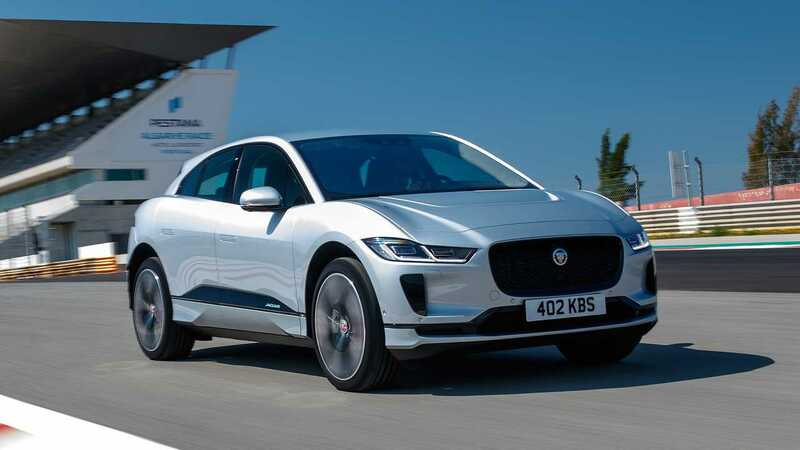 According to the automaker, the 90-kWh battery in the Jaguar I-Pace offers up just 234 miles of electric range. That's less than the base Tesla Model X. Lower than the Hyundai Kona Electric and even below the range rating of the Chevy Bolt. All three of those vehicles have smaller capacity battery packs. Why the low result from such a big battery? It all boils down to efficiency and that's where the I-Pace falters. Those figures are downright awful for a modern-day electric car. Compared to the Tesla Model X 75D with a 75-kWh battery pack, which gets 91 MPGe city, 95 MPGe highway and 93 MPGe combined, the I-Pace clearly suffers inefficiency issues. But hey, we laid this all out back in August, so truly we aren't surprised. A less efficient electric car means more money out of your wallet to charge, so decide for yourself if it's worth it or not.